I forgot to blog last night and Sunday night… I don’t know how I forgot, but I did! At least I’m back today! Food has been ok apart from I cooked way too much pasta last night. I should have stopped eating it when I felt full, but I was enjoying it so much that I kept going and ended up over my calorie target – oops! Today I had an odd concoction of food. I had a fruit scone and butter for breakfast (it needed to be eaten or would have been wasted) and because I was in the office, I bought lunch out. It was a bit chilly today and I had a headache at lunch time so wanted warm, comfort food. 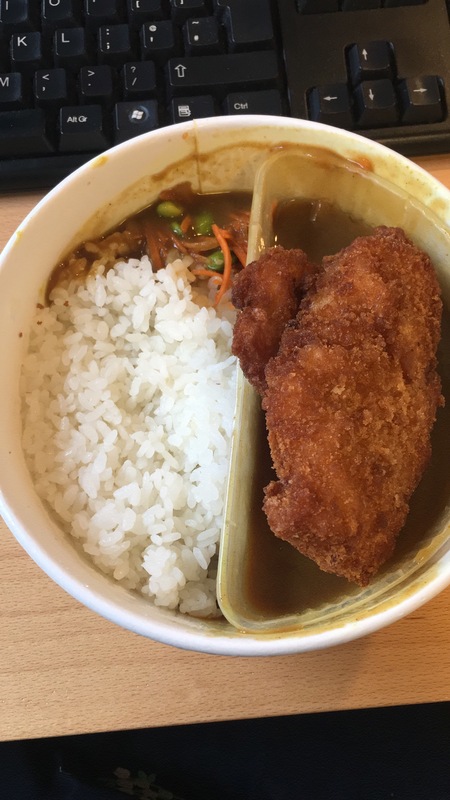 I popped in to Wasabi and got a Chicken Katsu Bento… it was so good and so filling. For dinner I just had a piece of garlic bread and a little weight watchers dessert. I was right on my calorie target and have felt satisfied and full all day. Not the best food in terms of fat, but it’ll even itself out throughout the week. I’m still getting used to all the stairs in our new office. I went from the ground floor to the 3rd floor in one go… that doesn’t sound like much, but when you don’t usually do stairs, it’s a lot! Ha ha! I even dusted off my Fitbit and decided to wear it again… I really need to get a nice strap for it as the one thing that puts me off wearing it is it’s so casual that it doesn’t look right with most things that I wear, especially in the office. Today was a bit of a bad day for food. Bad in a good way. 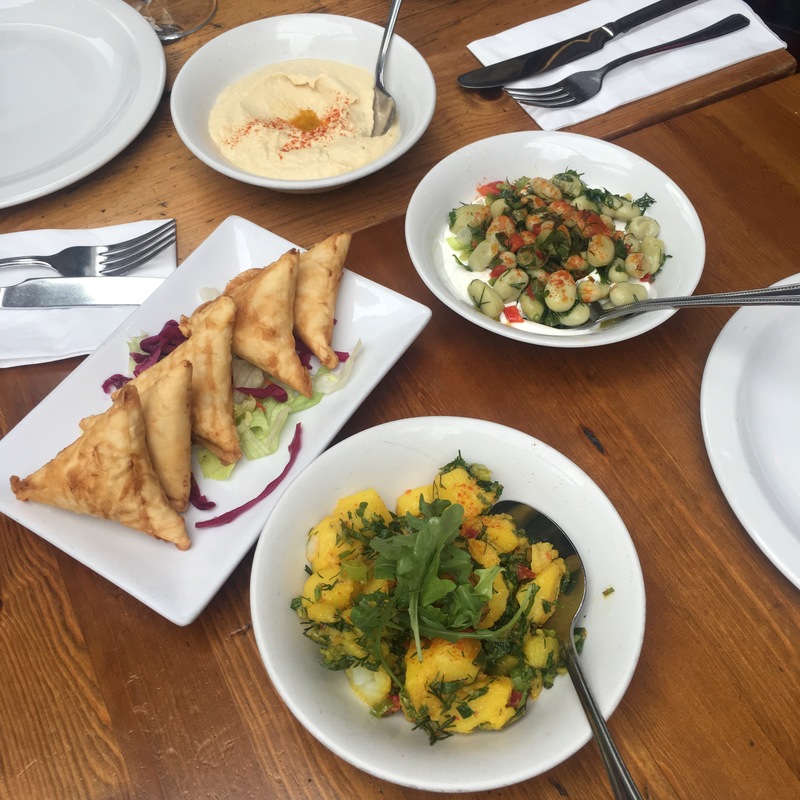 I had a leaving lunch for one of my work friends and we went to a Turkish restaurant called Gallipoli Again, which is in Islington, London. I’d been here once before and thought the food was amazing, so I couldn’t turn down an opportunity to go again. Humus, Kisir, Bakla, Cacik, Potato Salad, Borek, Falafel, Dolma, Chicken Guvec, Lamb Guvec & Mitite Kofte – and chips! 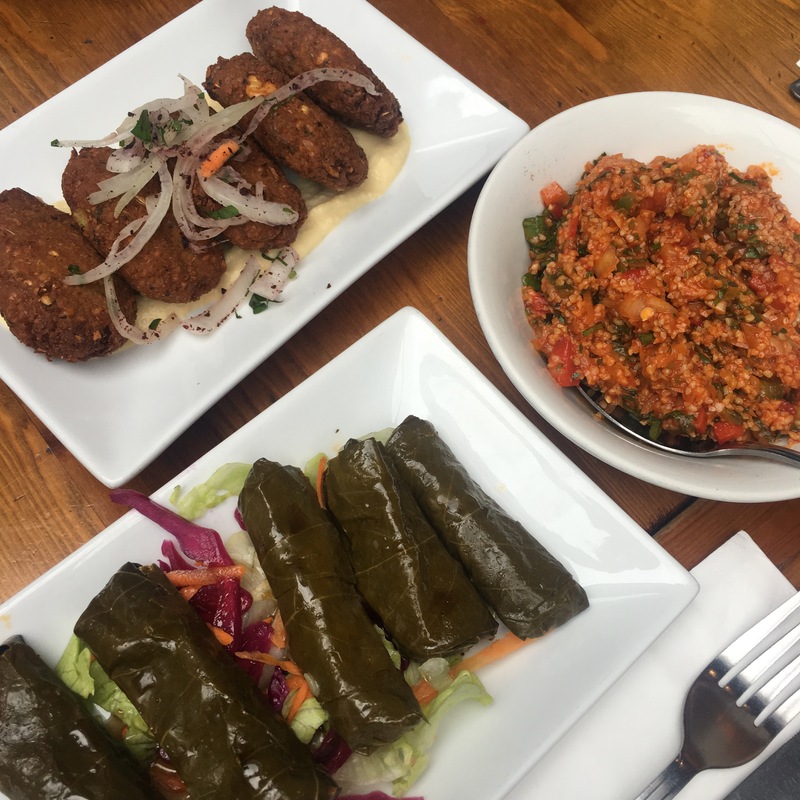 The fist time I’ve ever tried stuffed vine leaves – surprisingly tasty! 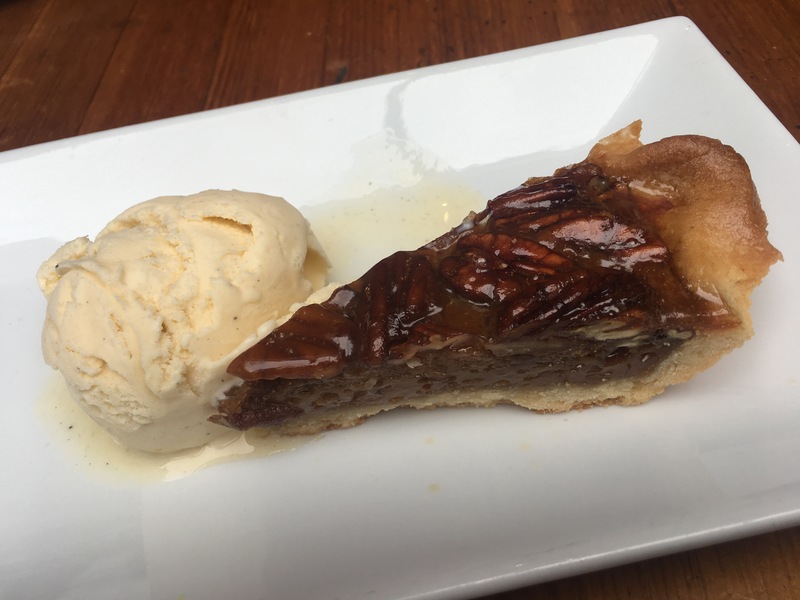 We all filled up on the tasty treats but a couple of us had room for some afters… I was very bad and had some pecan pie and ice cream – in my defence, I didn’t know it came with ice cream as well, but I made sure to enjoy it all ha ha! I’ve calorie counted everything I ate today – some of it was estimated, but I think because most of the food was relatively healthy, and because they use yogurt instead of things like cream or mayonnaise, that I actually didn’t do too bad. Over where I’d like to be, but not to the extreme. There are two Gallipoli cafés on the same street. I’ve never been to the first one, only the second, but I imagine it would be just as nice! Oh and the staff in Gallipoli Again are really lovely – friendly, helpful, fun… can’t ask for much more!